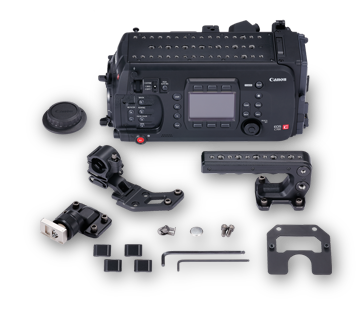 The flagship model of the Cinema EOS System lineup, the EOS C700 features an EF or PL mount to enable users to utilize a vast variety of lens options available. High quality footage can be taken with the Super 35mm-equivalent CMOS sensor at 4K 50p / 60p. With the Triple DIGIC DV 5 image processing platform, footage with a wide dynamic range of up to 15 stops can be recorded. 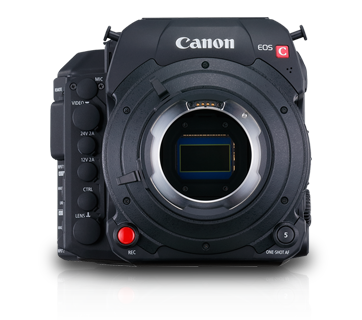 Dual Pixel CMOS AF assists in ensuring focus accuracy during single-person operation. Slow & Fast Motion recording is supported from 1 fps onwards, which when equipped with the CDX-36150 recorder developed by Codex, RAW format recording at 4K 100p / 120p is possible. The camera also supports recording in Apple ProRes format. Lens lineups supported include the EF Cinema lenses lineup for professional filmmakers, as well as the over-60-lens strong EF lens lineup, which are able to utilize the speedy and precise autofocus capabilities of the Dual Pixel CMOS AF system. The camera is also compatible with anamorphic lenses used in cinema productions, allowing users to take advantage of the wide aspect ratio as well as unique visual characteristics not possible with normal spherical lenses, such as special flare and bokeh image characteristics. 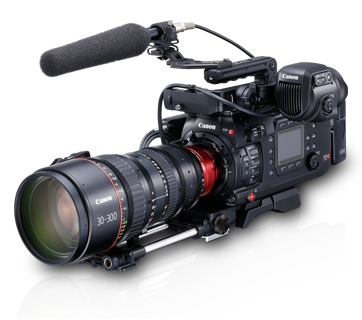 ENG broadcasting lenses may also be attached with the use of a B4 mount adapter, MO-4E or MO-4P sold separately. 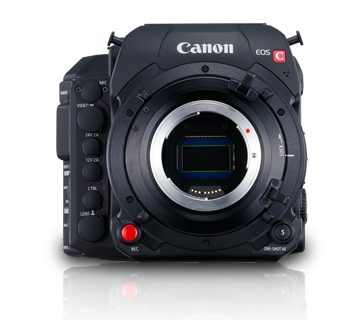 The EOS C700 can record at 4K 50p / 60p internally to CFast cards. 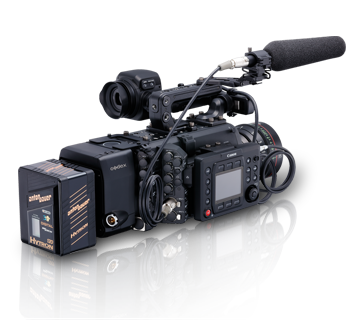 When equipped with the CDX-36150 external RAW recorder, it can record in 4K RAW at up to 100p / 120p. On top of that, the camera is also able to record internally at a high frame rate of Full HD 100p / 120p, and an even higher frame rate at up to 200p / 240p (cropped mode). The frame rate can be set from fps to 240fps for the production of unique fast or slow motion footage.